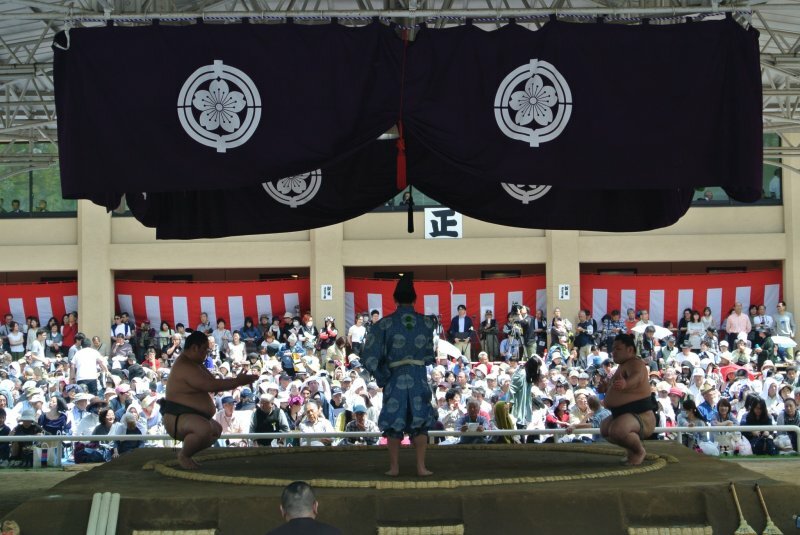 If you are lucky enough to be in Tokyo during April then you might have the opportunity to see a ceremonial sumo festival as part of the sumo's spring tour. The event is held at Yasukuni Shrine which is one of Tokyo's most famous shrines and entry is free. 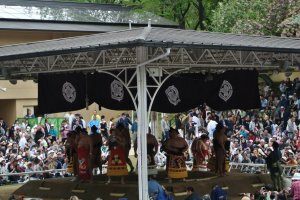 It is one of the most relaxing ways to enjoy sumo as you can have a picnic and sit in a this amphitheatre at the back of the shrine and watch the sumo's fight each other. 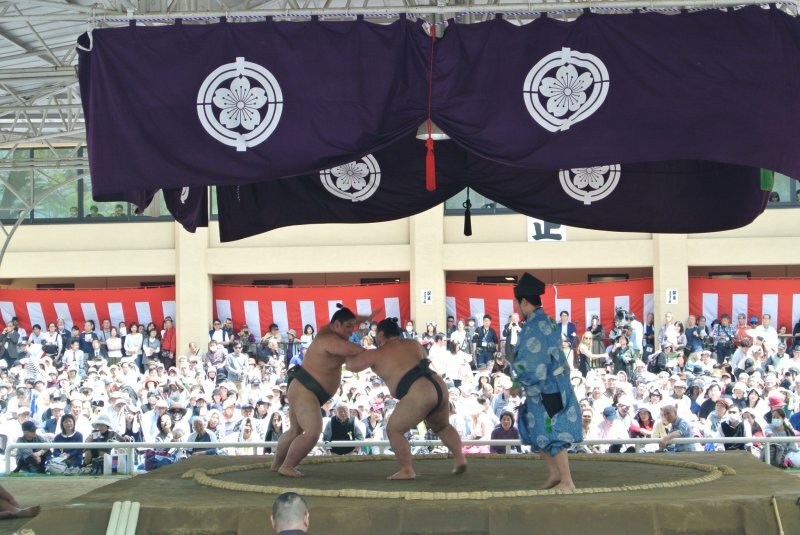 The event starts around 9 am with the sumo's doing warm ups which often means pushing each other across the ring. 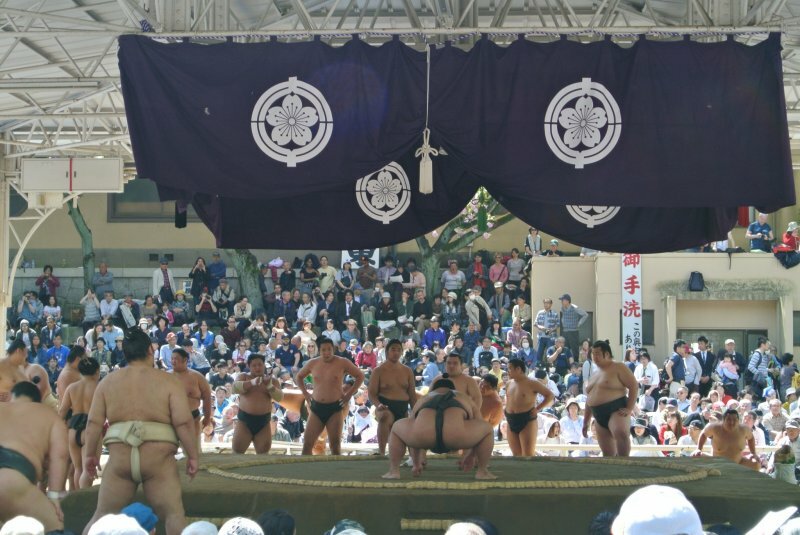 Then the rest of the event runs kind of like a normal day at the sumo with the sumo's competing against each other. 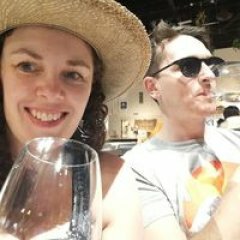 However, it is more laid back as it is not part of an official tournament. At one point they even had a sumo comedy routine where a couple of sumo's were joking around with the sumo judges and throwing each other out of the ring. 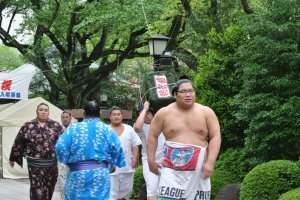 The event is also an opportunity for mums to throw their babies into the arms of the sumo's which is apparently good luck. 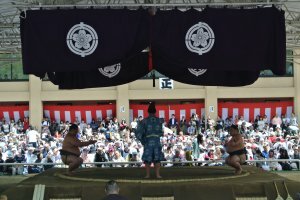 The sumo's would even take the kids up into the ring for the ring entering ceremony when the sumo's are wearing their keshō-mawashi (ceremonial silk belt). 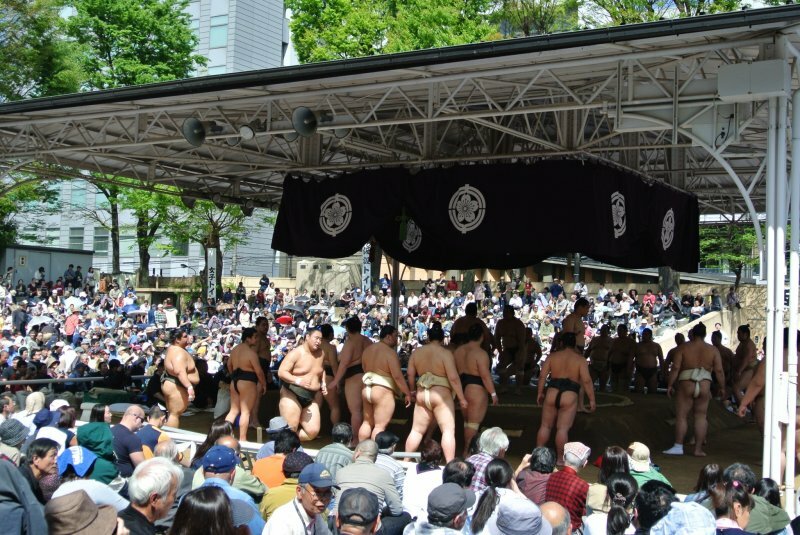 The main reason the event is held at Yasukuni Shrine is so the sumo's can pray for victory. The shrine is off limits to everyone else but you can watch the sumo's from a distance as they head in to pray. 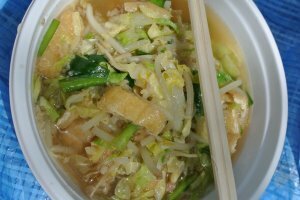 It is also a great opportunity to try the sumo's staple diet -Chankonabe which is a hotpot type soup with lots of different vegetables and meat in a fish broth. 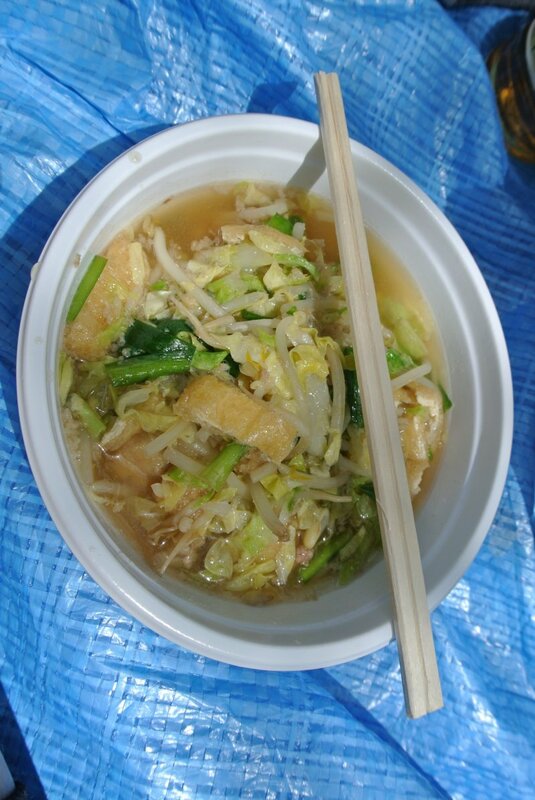 It is really delicious. 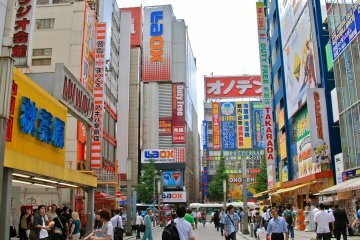 You can also buy bentos and beer but for anything else you will need to purchase it before heading into the shrine. I would recommend arriving early if you want seats close to the ring as it is a small space and even after the event started we struggled to find somewhere to sit. If it is a hot day like it was this year make sure you are prepared especially if you are in the the ringside seats as they have no shade so people were suffering from heat stroke. 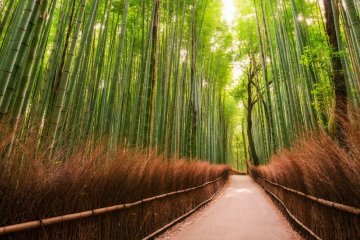 It is also recommended to bring a mat to sit on as other wise you'll possibly be sitting in dirt around the back area. 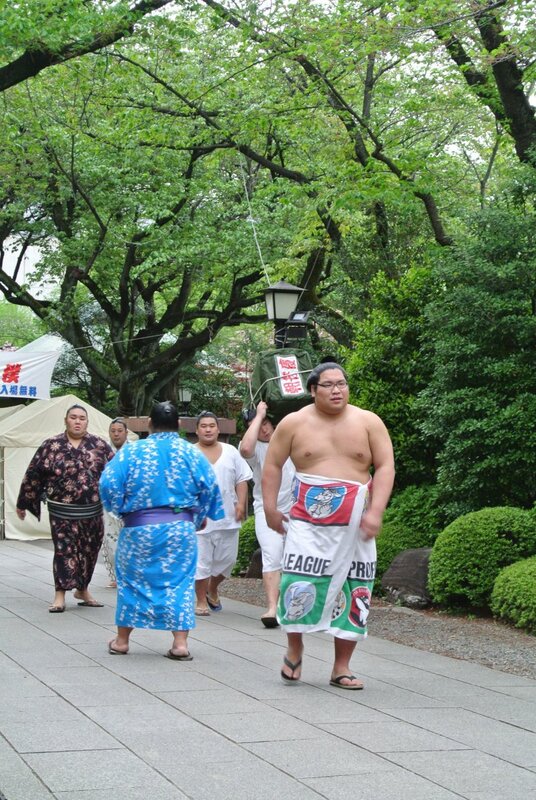 I have been to both this event and the sumo tournament in May and both events are absolutely amazing. You can't beat the relaxed vibe of this event though, especially when it's free! 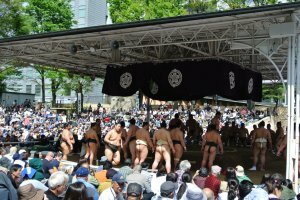 Honozumo Ceremonial Sumo Tournament, Held at the Yasukuni Shrine in Tokyo - Watch the best Sumo Wrestlers fight for free!